Some inspiring movies are testaments to the wonders of the human spirit. All of them involve surprising responses to extreme circumstances. They also show how limits are only in our mind. A lot of times inspiring movies are based on real life. Some of them deal with famous historical figures, others take a look at anonymous “nobodies” who end up legends. 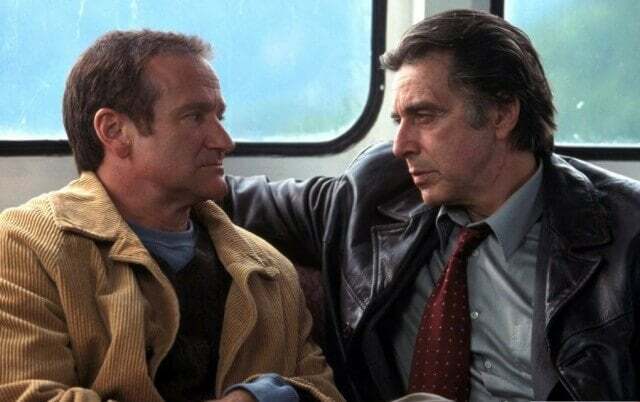 This is a list of 11 inspiring movies that have touched people of all generations. There’s no specific order to the list. Any of the films could be at the top. Are you ready? Will Smith and Thandie Newton star in this movie from 2006, based on real events. 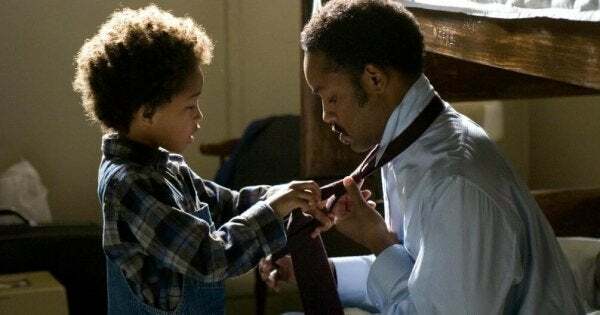 It tells the story of Chris Gardner. He’s an independent salesman who dreams of working for a stock trading company. Along with him on the adventure is his little 5-year-old son. The extraordinary part of this story is all of the extreme situations the main character goes through. He even has to start sleeping in a homeless shelter and work extremely long days, sometimes without sleep. It was nearly impossible for him to reach his goal. But his talent and iron will makes it so the story has a happy ending. 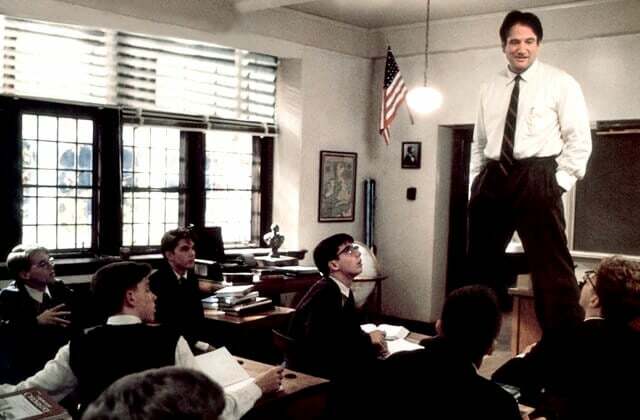 This unforgettable Robin Williams film is one of the most moving tributes to poetry and teachers. 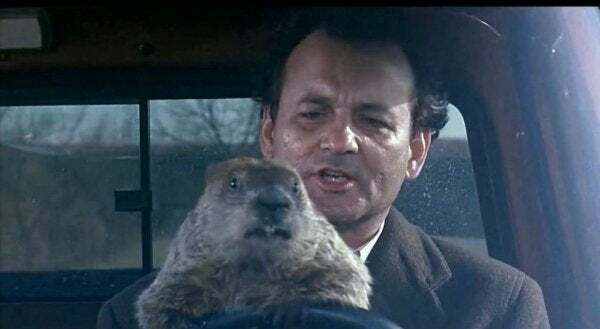 The movie came out in 1989 and is now a true classic. On top of amazing cinematography, the movie also incorporates amazing works by Walt Whitman. The boys discover the essence of poetry: looking at the world through different eyes. This gives them identity and the courage to reject values forced on them. The end is paradoxical, just like life itself. 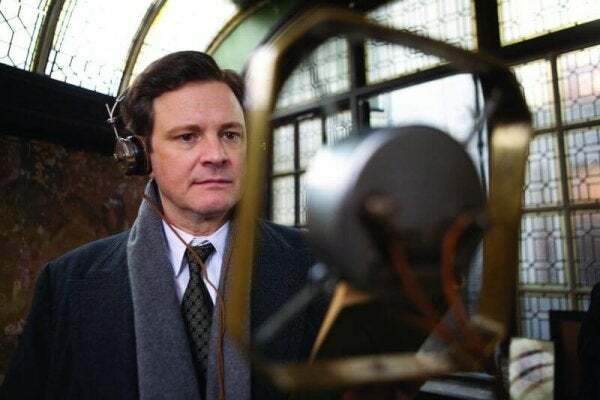 In this famous movie, actor Sir Colin Firth plays the role of King George VI of England. This king had an inconvenient problem: he had a stutter. It tells about how the Duke of York, England’s future king, overcame that difficulty. He overcame it thanks to the help of the Australian Lionel Logue. After much tumult, the Duke of York found himself in crisis. King Edward VIII, the Duke’s brother, had to abdicate the throne when he refused to annul his marriage to a commoner. Another inspirational movie based on dramatic, but true events. It’s the story of what people called “The Tragedy in the Andes,” which happened in 1972 in the mountains of Chile. A plane transporting a Uruguayan rugby team crashed into a mountain. 36 people survived and they had to endure extreme circumstances until the rescuers came. In the end, only 16 young people survived. They had to eat human flesh to stay alive. What stands out the most is “Nando” Parrado’s attitude. He was a boy who crossed a rocky stretch of mountain with barely any supplies and in very dangerous conditions. He did it to save the group. The medical student, Roberto Canessa, went along with him. The movie exalts human will and the enormous power of solidarity. 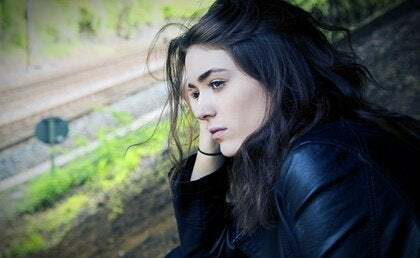 It also deals with the many ethical dilemmas confronting those survivors. Afterward, many people questioned their decision to eat human flesh to survive. This is one of the most classic inspirational movies of all time. It has a different focus than most: it deals with mental handicap. Ultimately, what it suggests is that there are many ways of successfully living life. Sometimes all we have to do is have a simple goal. Forrest Gump is an iconic story. It’s about a mentally handicapped boy who, despite all of this, achieves what would be huge triumphs for anyone. But what he values most is love, family, and friends. He also ends up in all kinds of significant historical moments, and confronts the ups and downs of human whims. 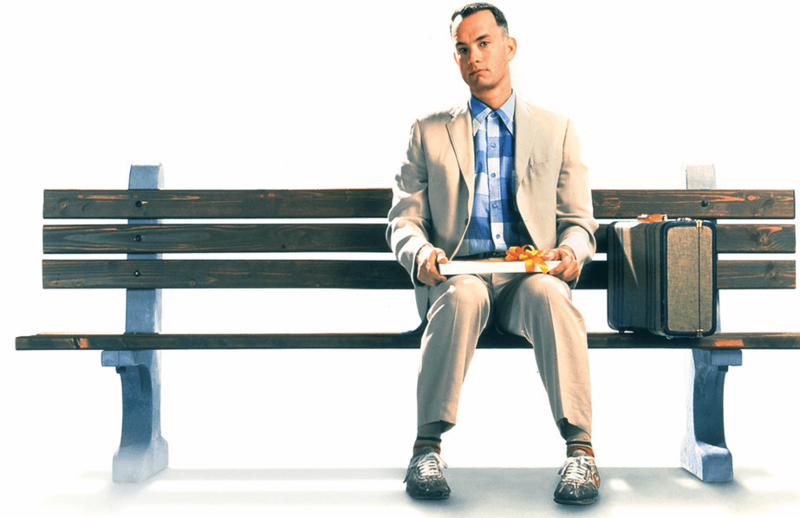 Even with all these limitations, Forrest Gump manages to give life meaning. He ends up living an amazing life, and changes people’s lives. This one is based a true story. Here, it’s about the life of John Nash. He was a math genius who won the Nobel Prize in Economics in 1994. In the film, they tell about the process of him falling victim to paranoid schizophrenia. It happens right when he’s at the peak of his career. The most interesting thing is what happens next. He goes through electroshock therapy and they medicate him with drugs that dull his mind. But Nash and his wife find a new new way to navigate mental illness. They discover that it’s love and social contact that can give him back his stability. That’s what will help this intellectual who painstakingly cultivated his brain, but not his heart. Love teaches what we can’t learn in the classroom. 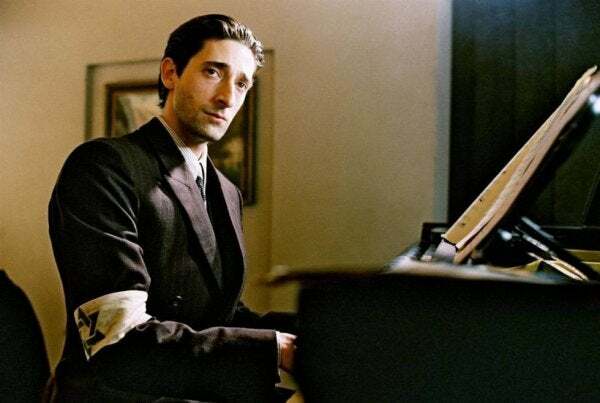 The Pianist is a movie from 2002, with Adrien Brody as the main character and Roman Polanski as director. 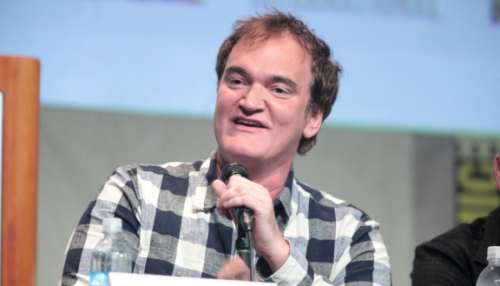 It’s a film that deals with the atrocities of the World War II. Except this time it doesn’t focus on combat, or big, heroic acts of battle. Instead, it praises the main character’s passion for life, even in the midst of fear and desperation. The movie tells the story of Władysław Szpilman, a Polish Jew who survived life in a concentration camp. He lost his whole family, but managed to survive even in the extreme conditions of the Holocaust. What kept him going was his desire to move forward, and the consolation that his life existed in music. In the middle of his vulnerability, he was able to stand up to persecution, illness, loneliness, and pain. Philadelphia was where the United States declared its independence. Liberty and justice inspired us to freedom. It’s no accident that this is where the film was set. It came out in 1993, when the subject of homosexuality and AIDS had barely come out into the public eye. The film questions our prejudices surrounding people who contracted AIDS from homosexual contact. The main character, Andy Beckett (Tom Hanks) has to testify against his bosses. They had illegally fired him when they found out he was HIV positive. The law firm he worked for, and also society as a whole, rejected anyone who had a different sexual orientation. They couldn’t manage to openly admit it, but over the course of trial, he proves it’s true. The end of the movie is moving and uncomfortable. This is one of the few inspiring movies that’s halfway between comedy and drama. There’s also a blurry line between reality and fiction. To start with, it sets up a plot that might seem absurd. A man wakes up every morning and lives through the exact same day. Time doesn’t move forward. He is trapped in a day that always started the same way. What makes each day different from the rest is how he reacts to everything happening to him. At the beginning, he doesn’t accept it. Little by little, he figures out the meaning of his strange experience. And in the end, he turns it into the best thing that could have ever happened to him. 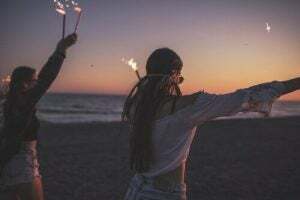 Then when he learns to live, to put it one way, time starts moving forward again. This film was a co-production between India, Germany, Italy, and France that came out in 2001. The story is about a Buddhist monk who goes back to his monastery after three years of deep meditation in the mountains. He’s been living a monk’s life since he was 5 and barely knows anything about the outside world. After his return, he looks at a stone with a question carved into it: “How do we stop a drop of water from drying up?” After a few days go by, he experiences love with a woman. This makes him question all the values he’s lived with up till now. This movie puts a special emphasis on patience and perseverance. 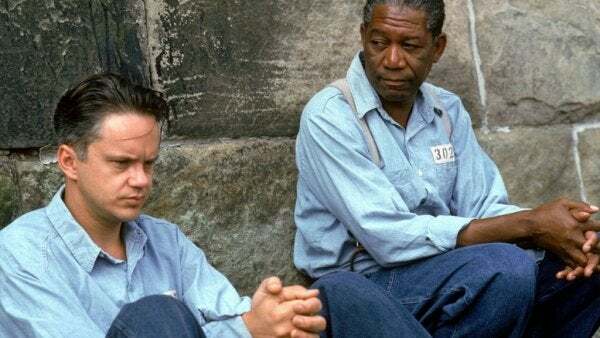 It’s an emotional film with Tim Robbins and Morgan Freeman as the main characters. It tells the story of a man who’s wrongly imprisoned for the murder of his wife. Unlike some of the other inmates, Andy was an educated man. Thanks to his knowledge, and not physical strength, he manages to gain respect in the prison. He uses his influence to promote education among the prisoners. At the same time, day after day, for 20 years he plans an escape which he finally manages to pull off. The film shows a human being who stays by his values and convictions. He does so even in the middle of a negative environment. All of these inspiring movies are true gems for lovers of humanistic film. Some of them have turned into cult classics. Almost all of them won awards when they first came out. But their greatest value is that they manage to capture the essence of humanity.